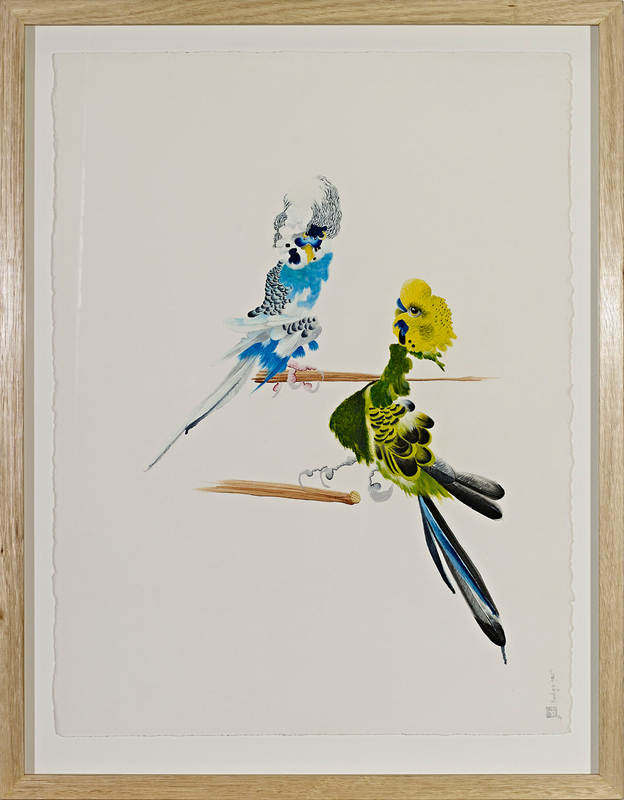 Posted on September 2, 2014 by Michelle M.
This entry was posted in Budgies in Art and tagged budgie, budgies, Budgies in art, Cooper, Josh Robbins, parakeet by Michelle M.. Bookmark the permalink. I don’t get it. It must be art.